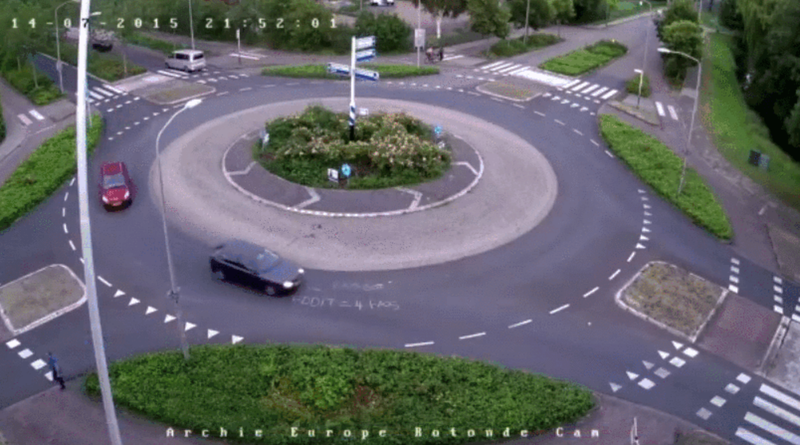 Thousands of people are watching a livestream of a roundabout in a small Dutch village, because of a thread on Reddit. It got weird fast when people figured out the location and went there. The post about the webcam shot to the top of /r/videos yesterday, then Dutch redditors quickly started heading to the roundabout. Thousands of people were watching the livestream. At its peak last night, I saw about 4,000 concurrent viewers… on a stream of a roundabout. At first, it was just an innocent group of people waving at the stream. Naturally, it was quickly ruined by trolls typical of the site. Reddit user Damindenie obsessively liveblogged the feed for 12 hours, which was mostly just Redditors showing up and waving, or doing loops around the roundabout. About three hours in, someone started graffiting the roundabout. The police took notice, and inspected the damage (imagine trying to explain to the chief that a bunch of people from the internet are watching a stream of a roundabout). Not long after that a group showed up and drew dickbutt in the middle using chalk, along with “Ellen Pao” and the URL of a Dutch website. Nothing says “grown man” like drawing hateful remarks about someone you don’t know on a roundabout in the middle of the night while filming yourself. As they ran off, a wizard showed up and started doing jumping jacks in the garden before getting questioned by the police. Another group appeared just 15 minutes later and started cleaning parts of the graffiti off, before getting caught by police. 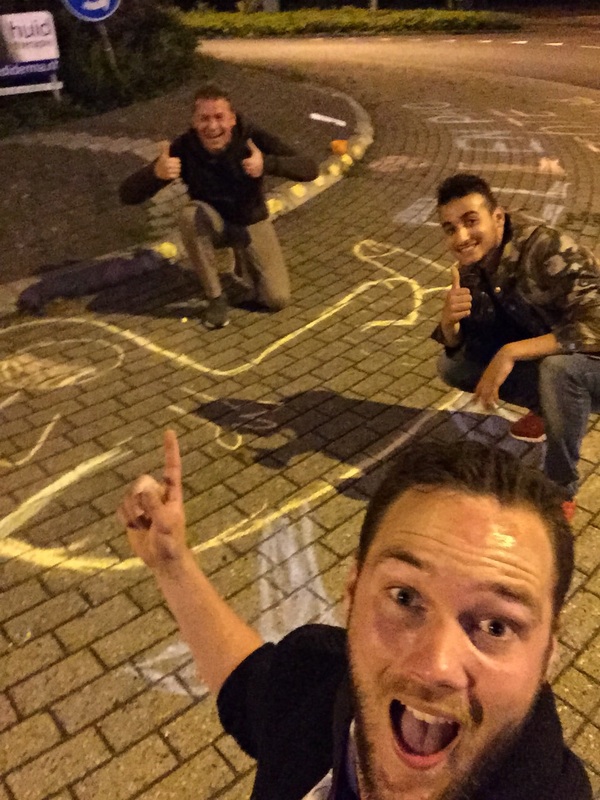 Not much transpired after the graffiti was plastered on the roundabout and the cleaning group was caught by police, as the authorities spent the night patrolling the area. The graffiti is still there this morning, however. At time of writing there are still over 1,000 people watching the roundabout so it might not be quite the end of the story.